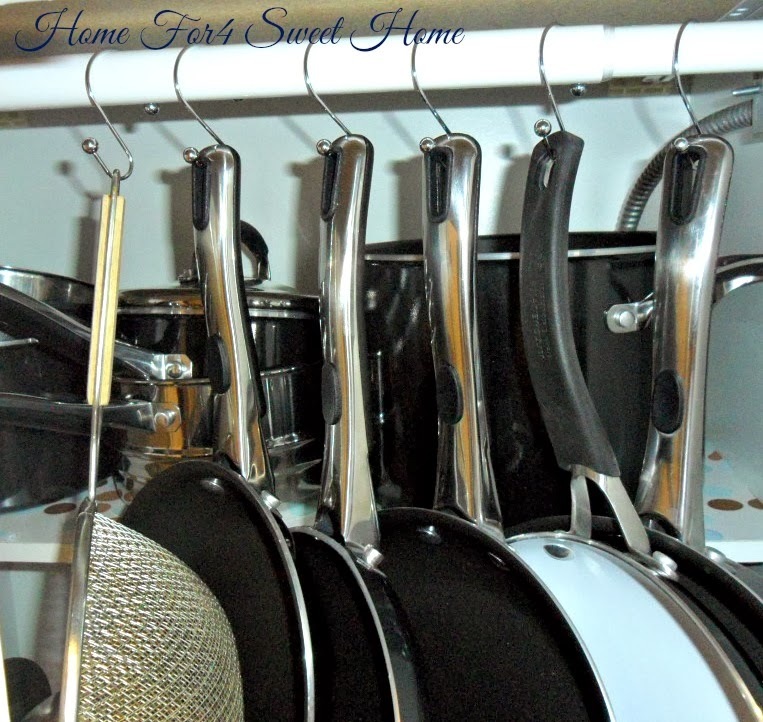 Home For4 Sweet Home: Organizing Pots, Pans & why not include the Lids too! 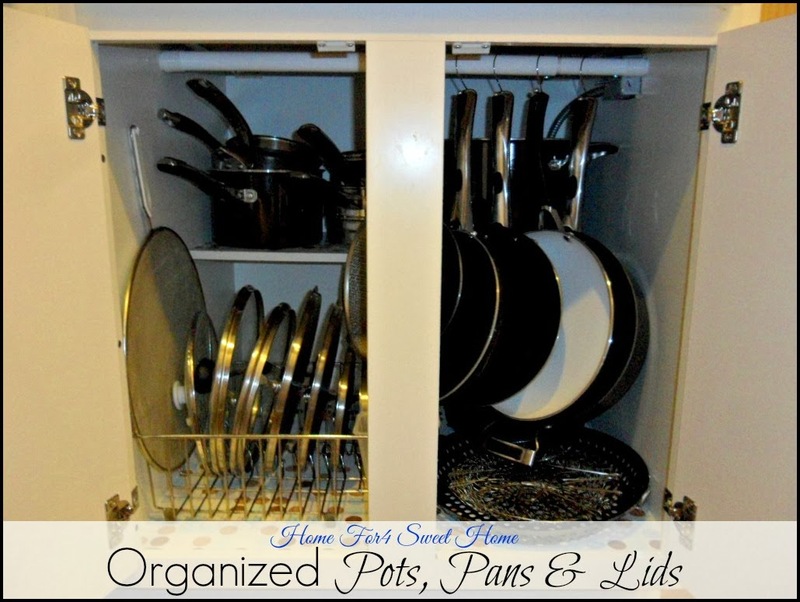 Organizing Pots, Pans & why not include the Lids too! Hello Everyone! I hope all of you did have a wonderful Christmas! As for me & my family, we really did enjoyed it. It is my first time to get to spend Christmas with my mother & father now that I have two kids & a husband, it was very special for me. We also had a small birthday celebration for my daughter that turned three. I should say it was busy but it was a fun-filled December so far. Onto today's post, I am so thrilled to show this another organized space in my home! One of the traditions The Mr. & I do since we got married, is that every Christmas we always get one thing that we both like for the home, aside from the presents that we give each other. 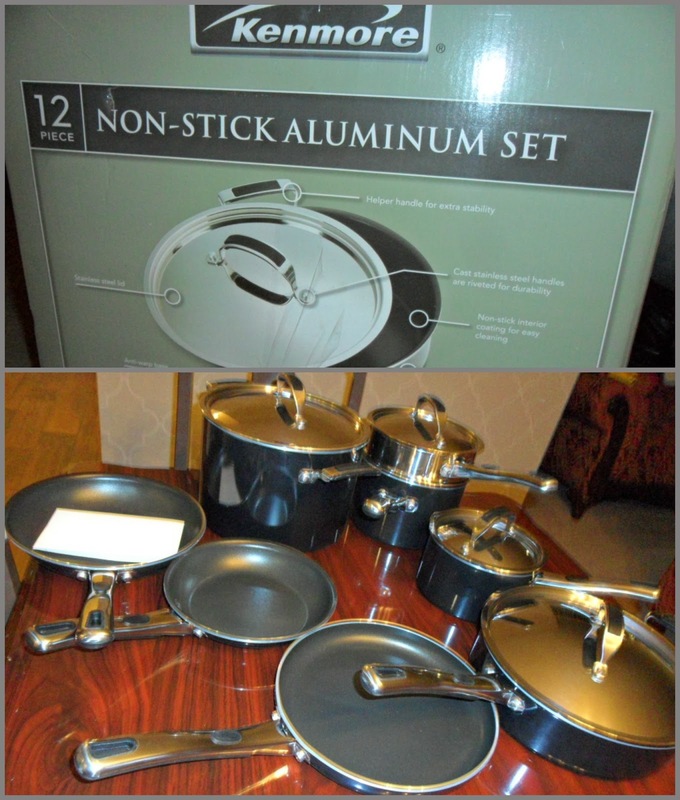 And this year, we got ourselves is a Kenmore cookware set. Disclaimer: I have no intention of marketing the brand of the product that is used in this post. We are both happy with this because we really badly needed these. Wanna see how the old ones look like? Wouldn't you be happy too?! lol! 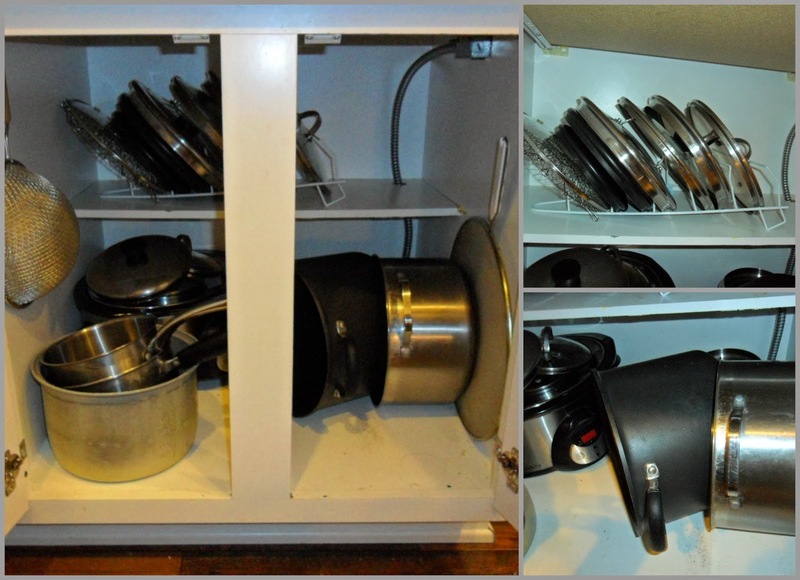 So what a perfect time to re-organize my pots & pans cabinets, now that we have a new cookware set. What it was before wasn't too bad but was also way too far from being perfect either. Here's how it used to look like. Making this space organized was super exciting for me, especially when I found these two awesome inspiration from pinterest. I knew I had can to do this! Started by emptying the cabinet then scrub it real good. I paperlined (the same shelf liner that I used here & here) the bottom of it to make it look pretty. Then a 3/4" tension rod was installed tight as high as it can go. 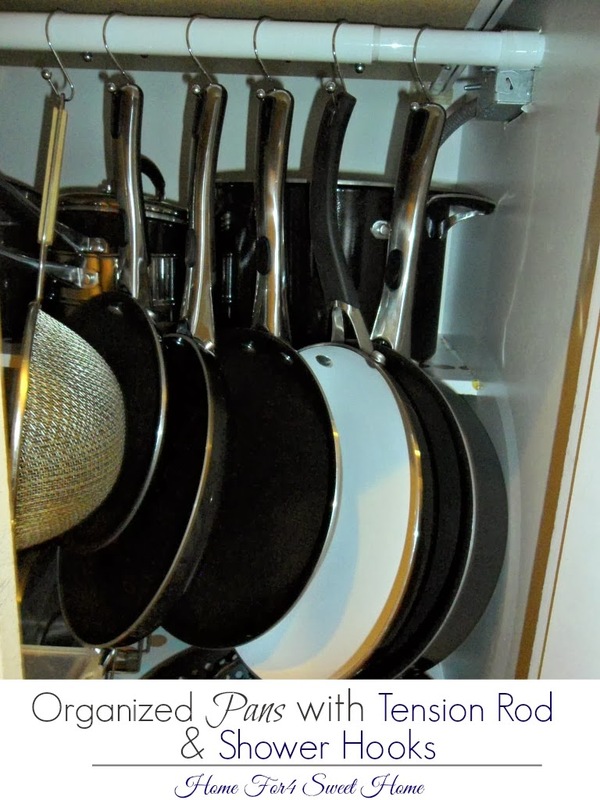 I use a slim shower hooks to hang all my pans onto the tension rod. Hanging your shower hooks will all depend on how you want your pans to look like afterwards, mine is facing to the left & it's more functional for me this way - easy to take out & easy to put back. 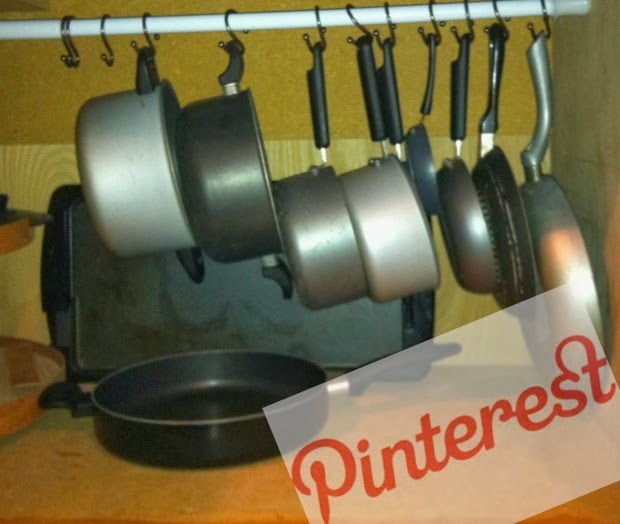 Here's a full shot of all my pans hanging neatly now. 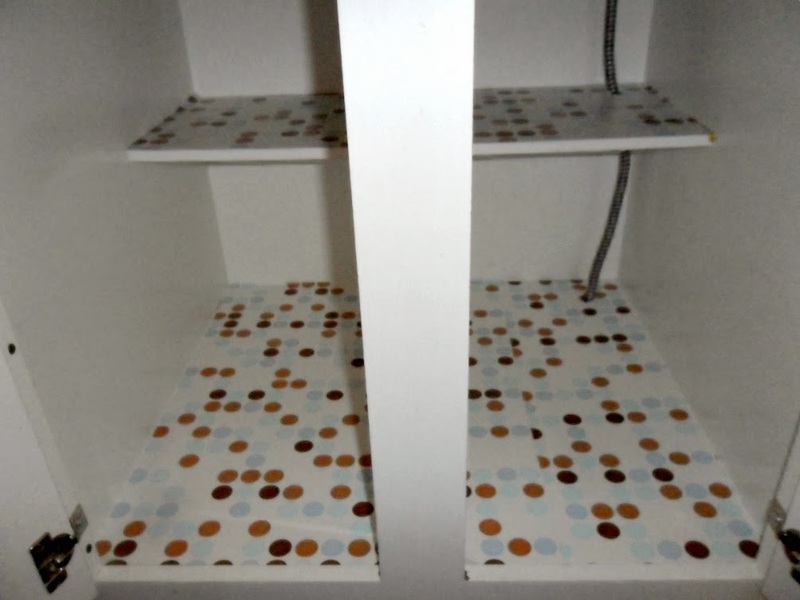 As you can see on my cabinet before, I tried to organize the lids using some kind of a shelf but taking out the lids would also let you need to take out the lids that is leaning on it. 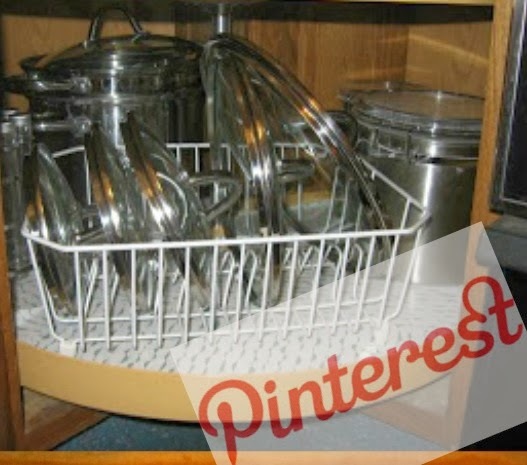 So this time, like in my pinterest inspiration, I used a dish drying rack. It's an old one that I saved because I thought I'd use it one day & that day has come. 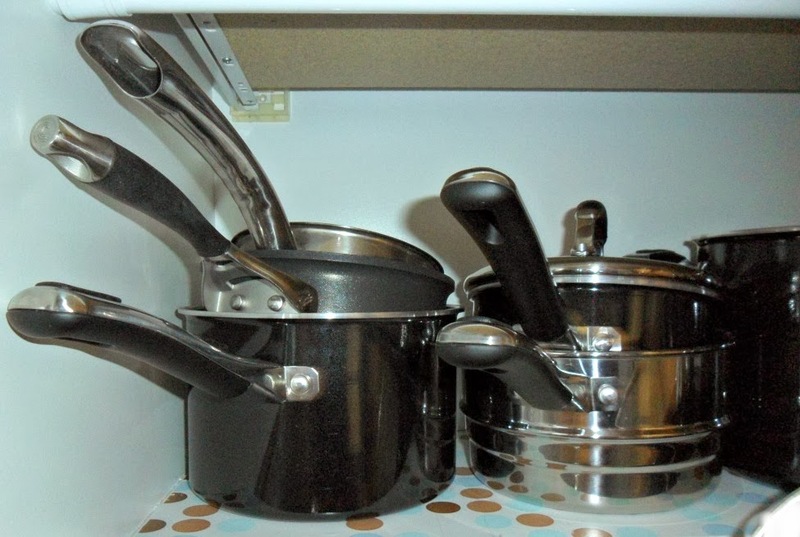 Placing the pots & the rest of my stuff were pretty easy with the lids & pans already organized. The pots were stacked according to size & were placed on the second level. And here's a before & after photo. Love it!! How about you, have you been organizing? To see more inspiring organized spaces, click here. great idea! i so need to do this!! 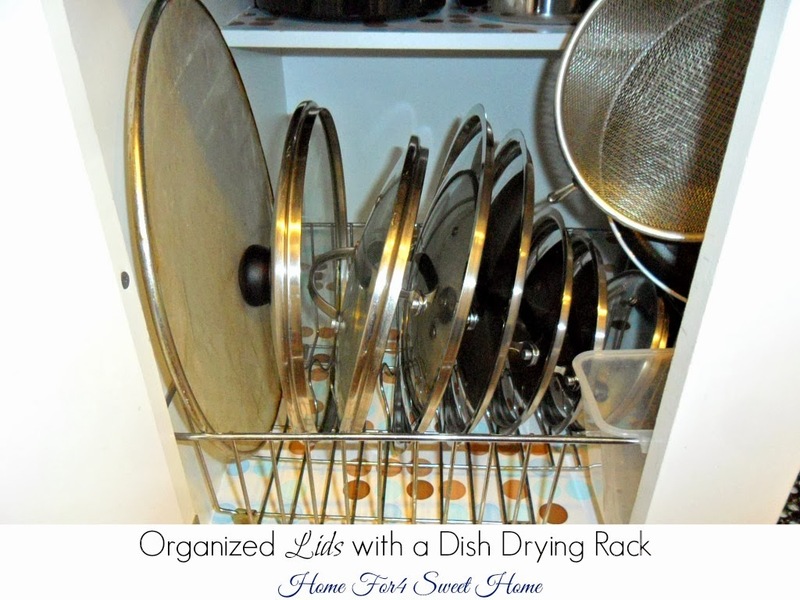 I'd love to try this idea, but can you tell me how you got the rod to fit in your cabinet? Did you have to cut it down? Other tips on buying pottery include to look at the bottom of a piece of pottery before buying it. kids pottery This helps you see when the piece was made and who made it. This is how you generally tell whether a piece is antique or not.